Summer is upon us, and if you are anything like my family, that means lazy days of sitting around and doing activities that we all can enjoy. It is a time to step back from our usual school year routine and embrace a more loose schedule. But wait a moment, doesn’t that mean that the kids (and the house) can get out of hand? It could if we allow it, but there are ways to keep our children excited about their faith even though they are no longer in school. My children are young, but this works for our family. Everyday we pray for 5 minutes in the morning. We sometimes say our traditional prayers, we give thanks, we ask God to watch over our loved ones or for those who have less than us. The prayers don’t have to be long or extravagant, and sometimes we pray in song format. They especially love singing the Our Father, and a Hail Mary! We had days when my daughter didn’t want to say anything for those 5 minutes, but she wanted to draw her prayer of thanks instead. I love that with our diversity, we can choose how we want to pray everyday. 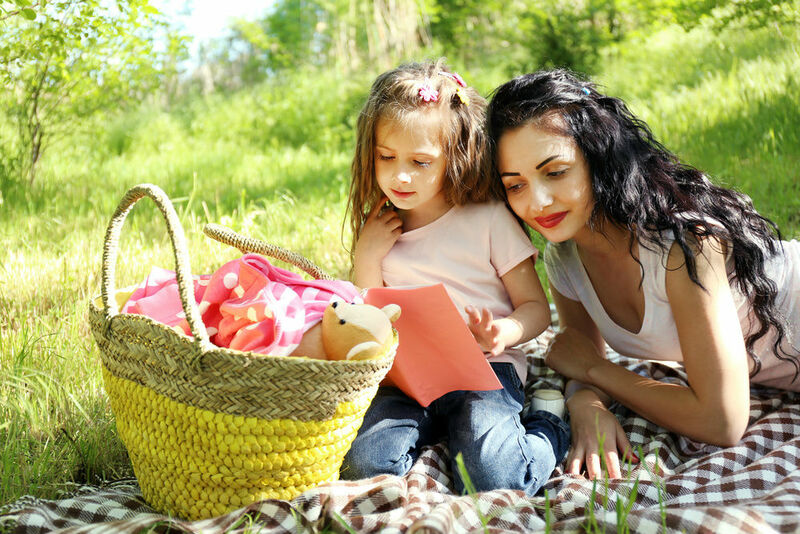 I love how the summer evokes memories of sitting around lounging, and just spending time with family, but what a great way to do that, and share some lessons along the way. On a lazy day, we sit around and tell stories about our youth, or stories about our loved ones, and lessons that they have taught us to this day. Story telling is one tool that Jesus used to share knowledge and lessons with his followers. We can use it the same way to teach our children about life and what our loved ones have gone through. Pick a day in the middle of the week (or everyday if you can) to attend daily mass. These usually happen early in the morning, so it’s a wonderful step to have your family start the day with the Lord. If your church does not offer a daily mass, you can light a candle and read the Gospel with your kids. Or, in order to keep the kids involved, let them read it to you! I love how these days you can find games that are based on the Bible knowledge. Summer is the perfect time to stock up on these games and save them for those rainy “I’m bored” kind of days. Not only will you increase your bible knowledge, but you may look at a passage in a different light. However you decide to spend your summer, remind yourself and your kids that everyday is a brand new opportunity to walk further with Christ.